I’m so excited to welcome a guest poster today, Irina of Natural Math. She’s going to show you a great project that can be added to any tinkering station. 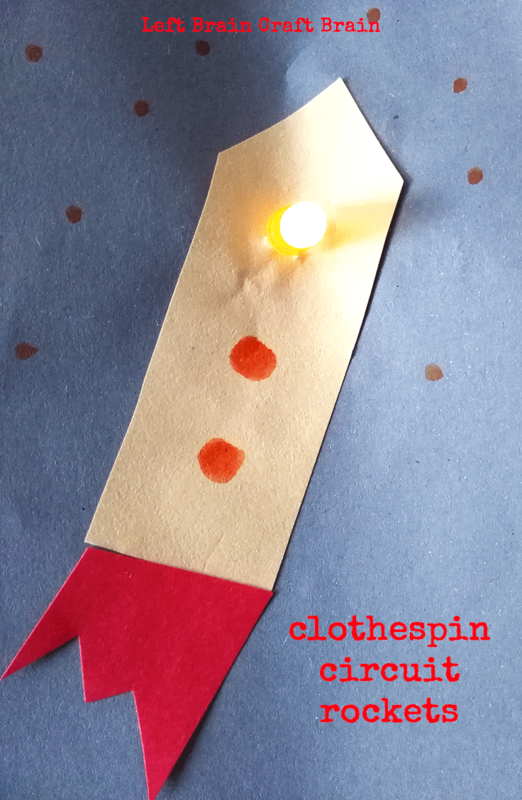 These Clothespin Circuits are perfect add-ons to make your next art project shine :) This post contains affiliate links. I was impressed and decide to explore this awesome creation with my kids. We have decided to build a rocket. SAFETY NOTE: This activity should be done under adult supervision, coin batteries can seriously injure your child, if swallowed! Take two pieces of wires. 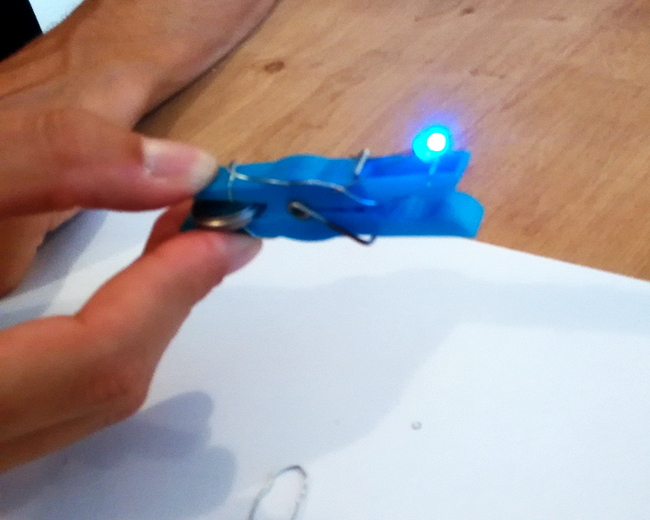 Wrap each of the wires around the legs of the LED. Carefully wrap the rest of the wires around the legs of the clothespin, making sure they do not touch the middle metallic part and each other. The ends should be located on the inner side where the battery will be. Open the clothespin and put the battery inside the clamp section of the clothespin. If the LED does not light up, reverse the position of the battery. 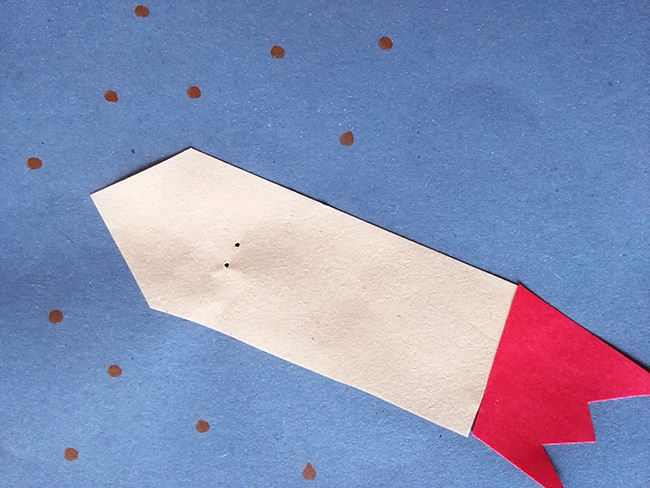 Create the night sky and the rocket. 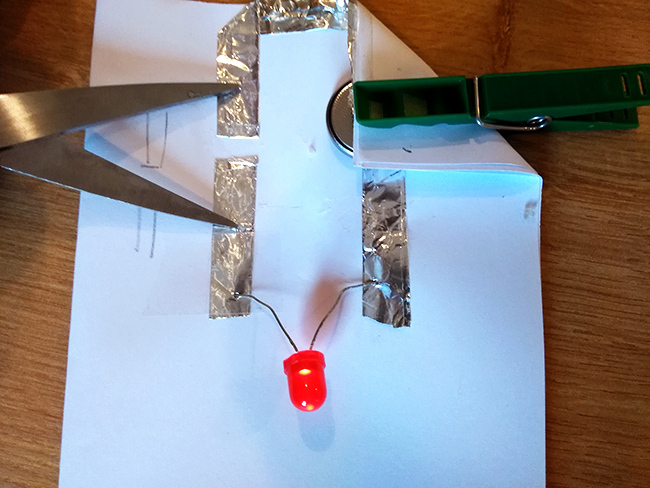 Use a pin to make two holes for the legs of the LED. Put the legs of the LED though the holes. 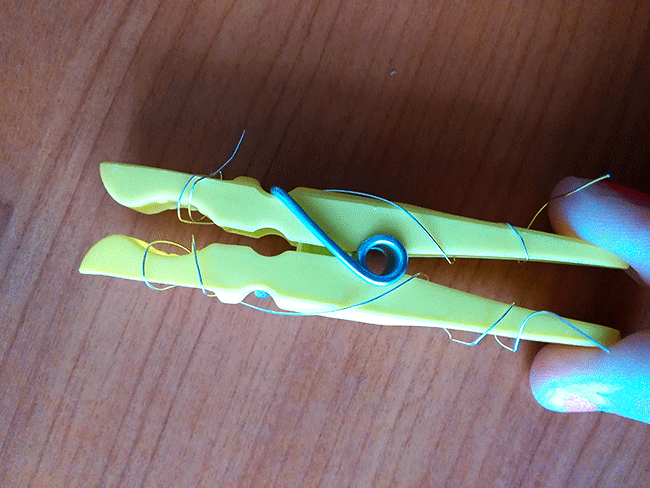 Wrap the wires separately around each of the legs of the clothespin and place the battery into the clothespin. Tadaaa. The LED should now light up. If not, reverse the battery and check the wiring. Dr. Irina Malkin Ondík is an author and experience designer at Natural Math, mother of three and a huge fan of Science Centers. She loves experimenting with didactic methods, mathematical terms, conductive materials, and all kinds of things in-between. Since 1997, she has been involved in math and science outreach activities for various audiences. Recently she has started a local science program for families. Check out her site, Natural Math, and stay tuned for a new book she has in the works! 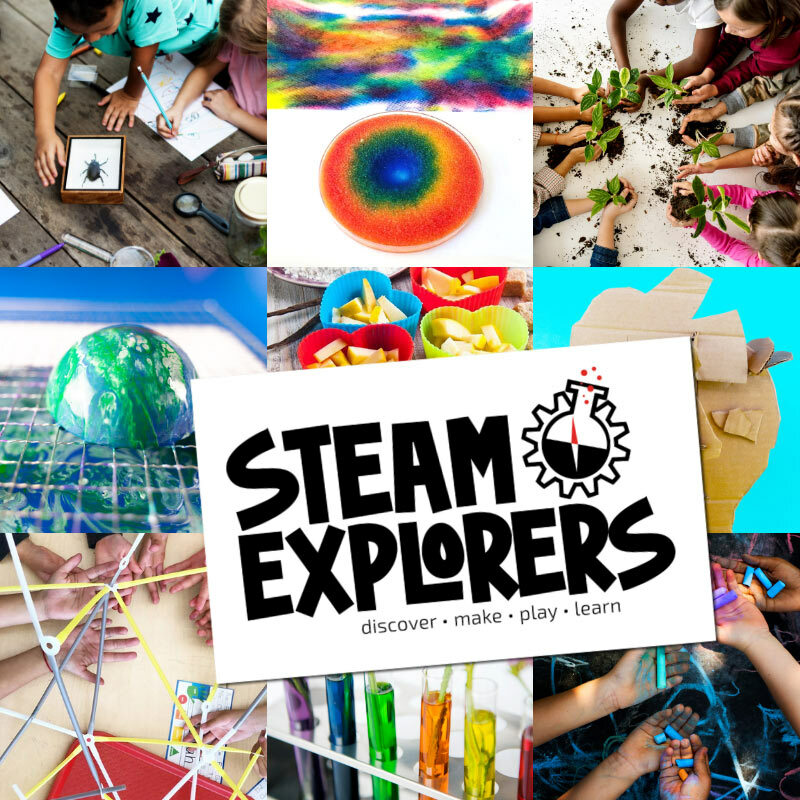 Have a Tinkering Project to Share? Are you an avid tinkerer? Do you like doing creative projects with kids? Have a project your want to share? Drop me a line at leftbraincraftbrain at gmail.com if you’d like to guest post!